Russian diamond producer Alrosa sold US$274 million in diamonds in November. The trend of weakening prices for small diamonds could be reversing, according to Russian producer Alrosa. The company enjoyed sales increases of 14 per cent by value and 25 per cent by volume this November, which it speculates could be driven by these gems. Alrosa made rough and polished sales totalling US$274 million in November. Of this number, rough diamond sales equalled US$266.6 million in value, while polished equated US$7.4 million. Although these numbers represent a year-over-year sales decrease of 18 per cent for November, diamond sales for January to November 2018 increased by 3.7 per cent to a total of US$4.2 billion. Rough diamond sales for the year so far stand at US$4.1 billion, while polished sales clocked in at US$90.4 million. In addition to the burgeoning market for smaller diamonds, Alrosa says diamond cutters could be a source of future sales growth. 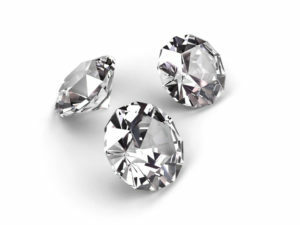 “We still see a lot of potential for the increase in demand for rough diamonds from the Indian diamond-cutting sector, which is still having trouble with access to credit,” said Okoemov.